Perfect for lunch with a grilled cheese for dunking. 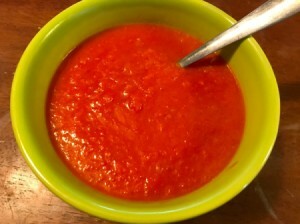 This recipe was inspired by a few three ingredient tomato soup recipes I saw online. 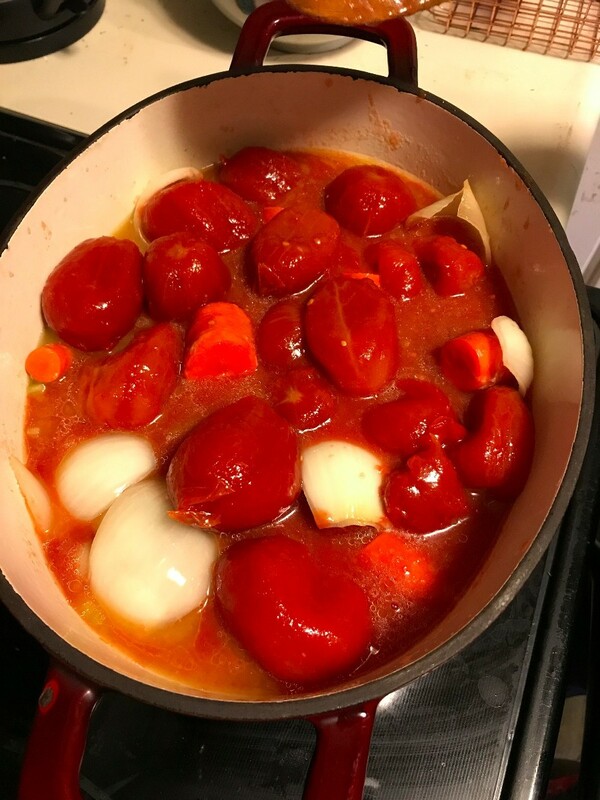 I used an entire #10 can of whole tomatoes that I purchased at Costco. 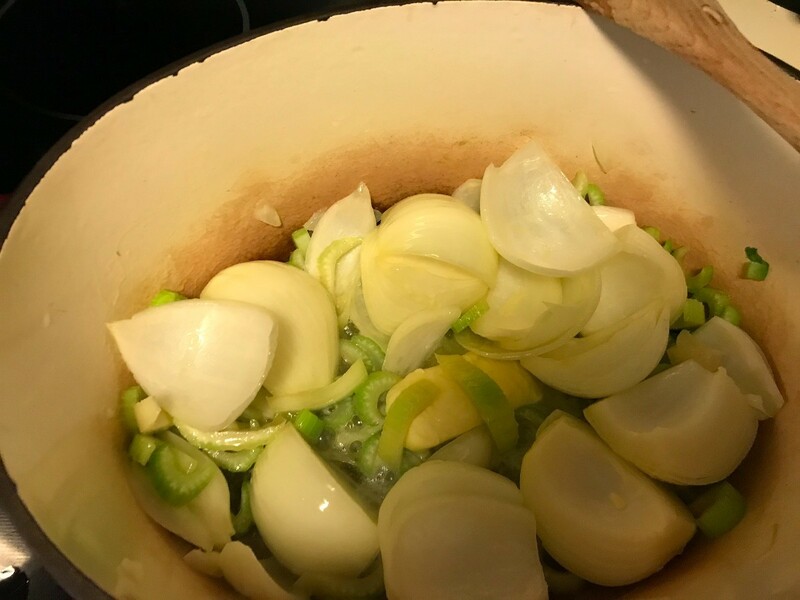 With the addition of a few vegetables, butter and a blender, this meal was inexpensive and so easy. I will add fresh basil the next time I make it. Source: This site was probably the basis for my soup, with some changes. All the prices are approximate, except for the can of tomatoes. I generally have all the other items on hand. I chopped all my veggies in big pieces because I knew my blender could handle it. If you have an older blender, you may want to start with small pieces. You could also make a chunky version which would be just as delicious. 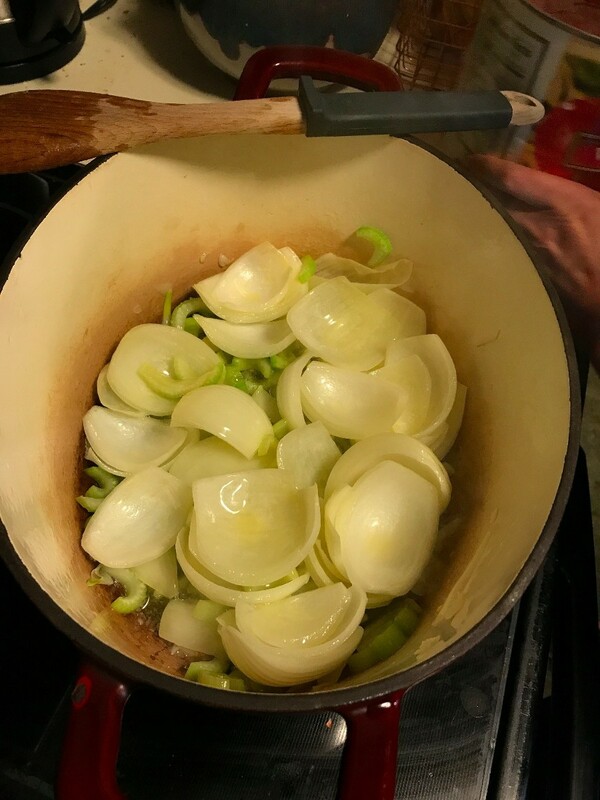 Sauté the onions and celery with butter in a Dutch oven or stockpot. 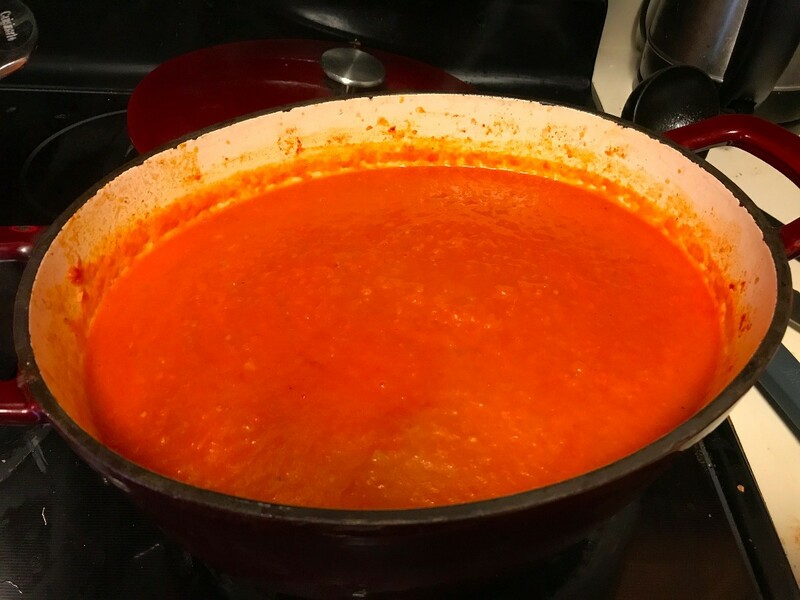 When they are softened, add in the carrots and the entire can of tomatoes. 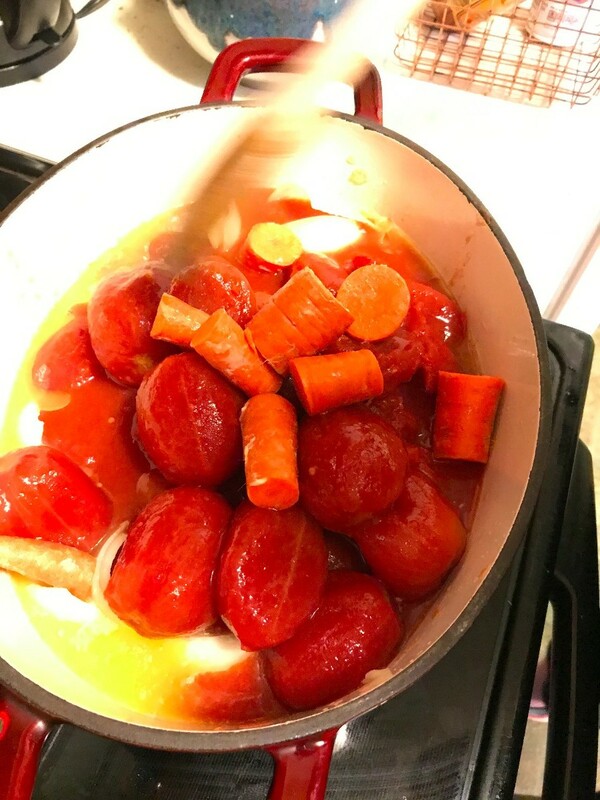 Bring to a simmer and cook for about 30 minutes, until the carrots are softened. 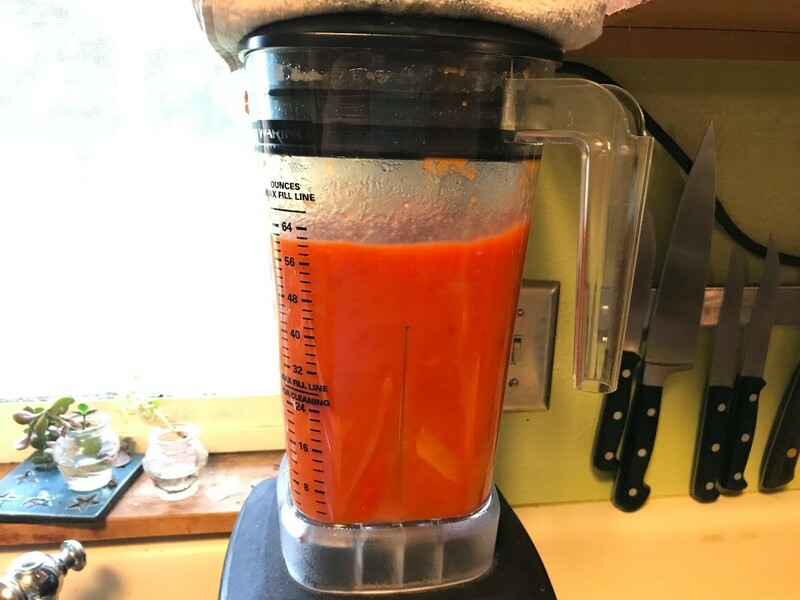 Take the cooked soup and blend it in batches. 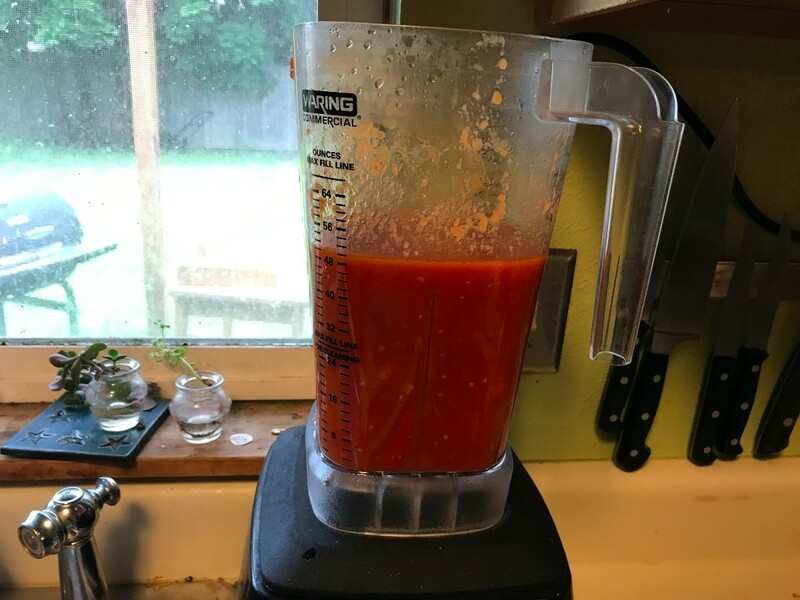 I used a blender but an immersion blender would have been even easier. Return to the soup pot and add salt and pepper to taste. It is ready to serve but you can keep it on a low temperature until you are ready to eat. It also freezes well. 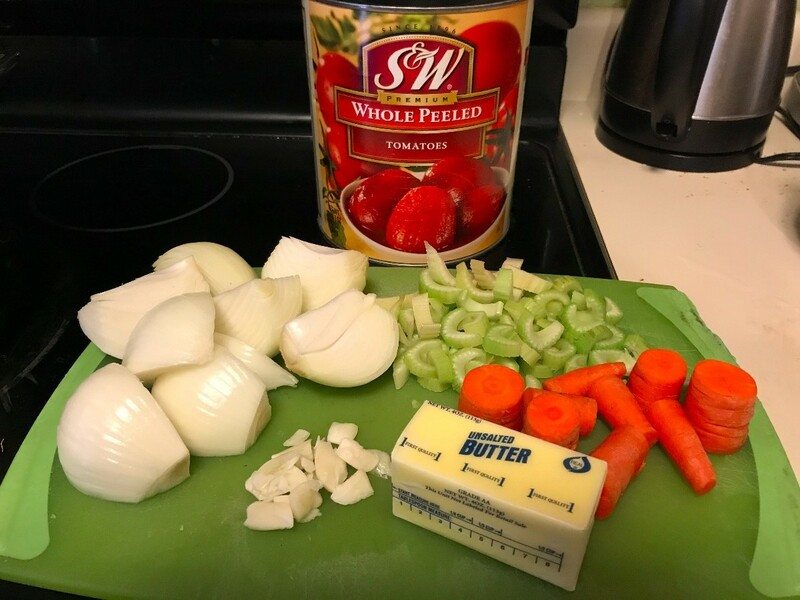 The butter is what makes the soup so creamy but if you are avoiding it, any cooking oil would work instead. I would only use a few tablespoons though. A non dairy milk substitute at the end might work to make it creamy. That looks good. We will be having fresh tomatoes in our garden in a few weeks. 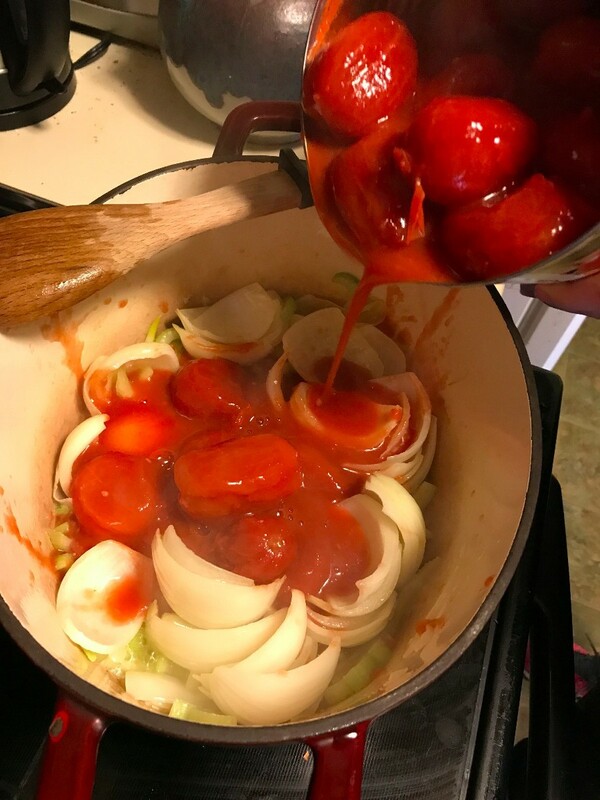 When they are ready to pick, I'm going to try making this soup with the home grown tomatoes. Thanks for sharing the recipe. I can imagine eating this tomato soup with a grilled cheese sandwich! It will be even better with fresh tomatoes. I've got a couple more weeks before I see much out of my garden. I just started getting my first zucchini and tomato blossoms. That is my son's favorite!